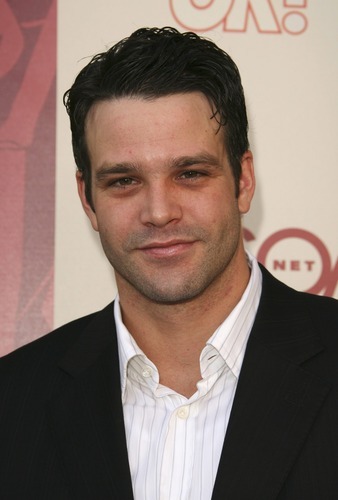 Last Saturday, dozens of mourners gathered at New York City’s Cathedral Church of St. John the Divine to honor Nathaniel Marston (ex-Michael, OLTL; ex-Eddie, ATWT), who died November 11 as a result of injuries he suffered in an October 30 car crash. After surviving a serious car crash in Nevada on October 30, Nathaniel Marston (ex-Michael/Al, OLTL; ex-Eddie, ATWT) has passed away. Nathaniel Martson’s (ex-Michael/Al, OLTL et al) mother, Elizabeth Jackson, gave a statement to ENTERTAINMENT TONIGHT about her son’s condition, which indicates the soap alum will likely be paralyzed. Nathaniel Marston’s (ex-Michael, OLTL et al) mother Elizabeth took to Facebook once again to update her son's condition. Nathaniel Marston's mother Elizabeth posted a new update about his condition. On November 5, the mother of Nathaniel Marston (ex-Al/Michael, OLTL; ex-Eddie, ATWT), who was injured in a horrific car crash on October 30, updated fans on his condition. As Nathaniel Marston (ex-Al/Micheal/OLTL; ex-Eddie, ATWT) continues his road to recovery from the devastating car accident he was involved in on October 30, new details are emerging about the crash. Nathaniel Marston's mother, Elizabeth, posted another update on his condition after he underwent surgery. Nathaniel Marston's mother, Elizabeth Jackson, has posted an update on her son's recovery on her Facebook page. Nathaniel Marston (ex-Eddie, ATWT; ex-Al, OLTL) was involved in a serious car accident on Friday night, and his mother, Elizabeth Jackson, posted a series of messages on her Facebook page regarding Marston’s condition.